Susan Baird is an Australian artist living and working in between Sydney and Hill End NSW. 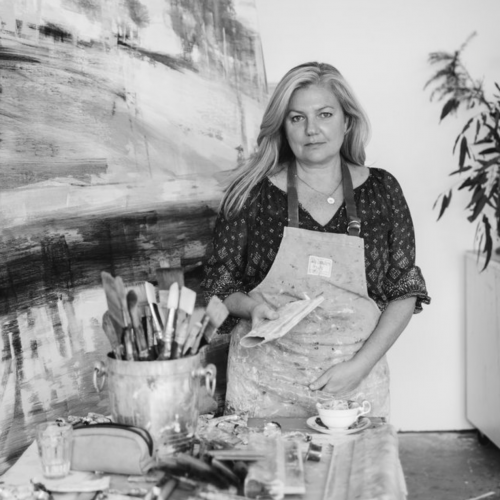 She has been the recipient of various residencies and a finalist in numerous awards, most recently including the Paddington Art Prize (2018) The Calleen Art Award (2018) Calleen Art Award (2016), Mosman Art Prize (2015, 2010), Artist in Residence, Bull Bay, Bruny Island (2015), Colville Lloyd Rees Art Prize (2013), Artist in Residence, Murray’s Cottage, Hill End (2012), the Blake Prize (2011) and the Paddington Art Prize (2011, 2010, 2009). Collections include – Bathurst Regional Art Gallery, Cowra Regional Art Gallery, Artbank, as well as private and corporate collections in Australia, New Zealand and USA. “I am primarily interested in the Australian Landscape and painting as a language to portray time and place. I studied painting in NYC in 1992 at the New York Studio School and attended the National Art School in 1997. In 2013 received my Master of Art at UNSW, COFA which resulted in two Hill End residencies and an exhibition at Bathurst Regional Art Gallery. In December 2017 I decided to move my studio to Hill End, NSW, to Bowman’s Cottage, an 1870’s miner’s cottage. This is a landscape that I have been engaged with for a decade and it’s a privilege to have my studio now in the landscape. Hill Ends unconditional gift are the voices of countless artists over many decades that have come to tap into its collective spirit. I am inspired by many artists including the Australian Impressionists, The St Ives School of painting, The Hudson River School, the Bay Area Artists, and many mid century painters.